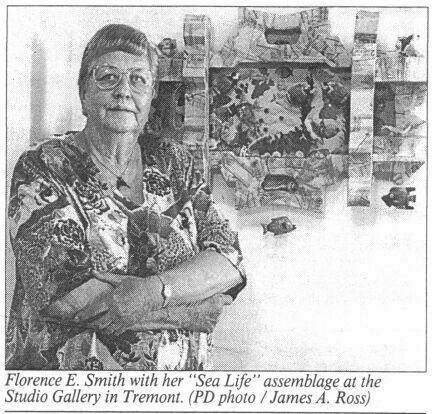 Florence E. Smith, also known as Mother Dwarf Smith, is among the artists featured in Tremont area galleries from 6 to 10 tonight for the monthly Tremont ArtWalk. She has a new collection of her found-object wall assemblages at the Studio Gallery, 2271 Professor Ave., in her first solo show at the age of 68. 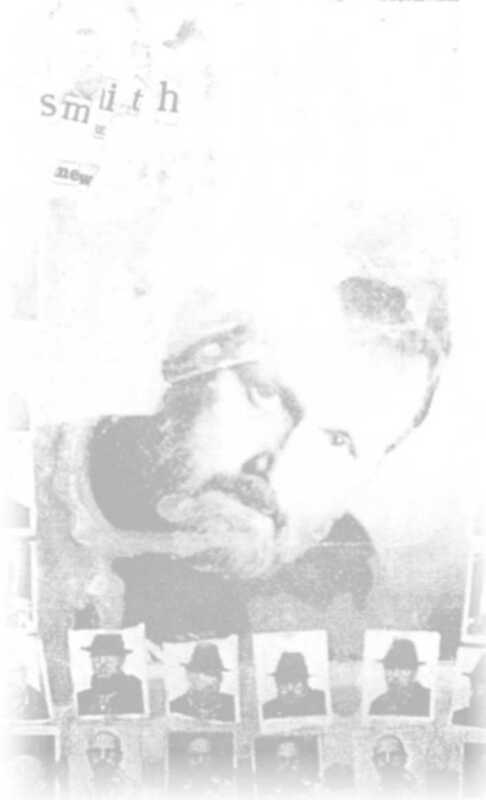 Smith's odd a.k.a. was bestowed in a moment of inspiration by her artist/poet/computer genius son, Steven B. Smith, who has a daunting sense of humor. But her son Steve also hit on something because everyone remembers Mother Dwarf Smith, whereas they might easily forget Florence. "That was how he introduced me, so I finally accepted it," she said. Tall, stately and on the quiet side, she had a ceramics studio for many years and also did quilting and mail art before going into assemblage/collage. Widowed, she came to Cleveland from her home in Nevada in 1990 to join her son, also an assemblage artist. Doll parts, trinkets, cutouts, photos and a wide array of found fragments find their way into her works, which project a wistful sense of frozen moments in time. The show of nearly 30 works is filled with memories of an Alice in Wonderland world where the mundane turns to magic. For viewing after tonight, call 781-8871. Other Tremont ArtWalk hosts are the Bohemia Club, 900 Literary Rd, showing paintings and photo-collages by Stephanie R. Haynes; Edison's Pub, 2373 Professor Ave., works by Eric Flesher; Southside Gallery (formerly Law Office/Gallery of Jean Brandt), 1028 Kenilworth Ave., "Fabulous Ruins" photos by Jim Clinefelter and Denise Cox, and films at 9 p.m.
Also, Literary Cafe, 1031 Literary Rd., "New and Improved Works by Steven B. Smith"; R. Borz Garden Sculpture, 1020 Kenilworth Ave., outdoor display by area artists; The Lab, 2275 Professor Ave., film and performance; Central American Network Excuela Popular, 2886 W. 14th St., Latin American ceramics and fiberworks by Carol Adams, Beverly Jones, Valentin Lopez Lopez and Christina Amador; and Wildflower, 2337 W. 11th St., Hats by Denaju, Purses from the Allen Glazen Collection, and a Show Fountain.